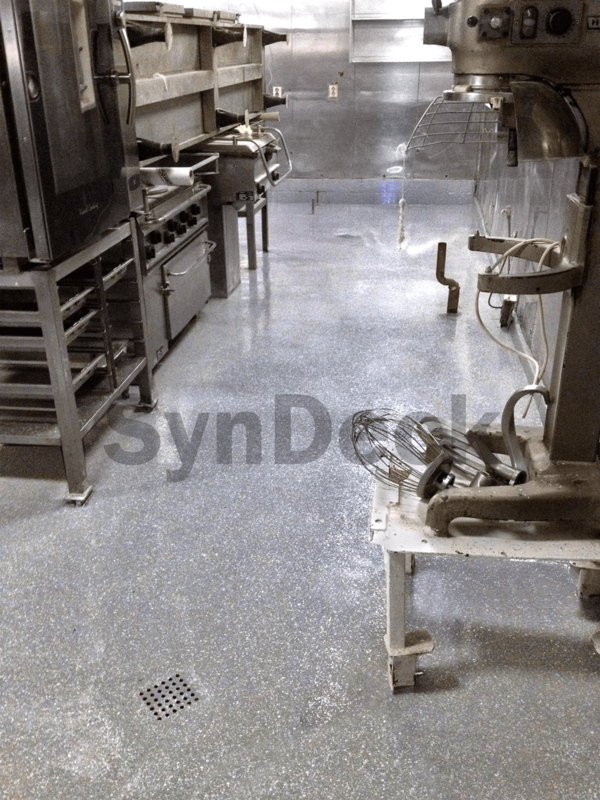 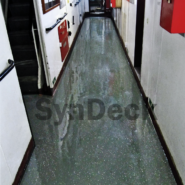 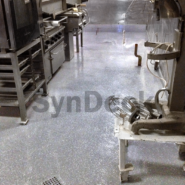 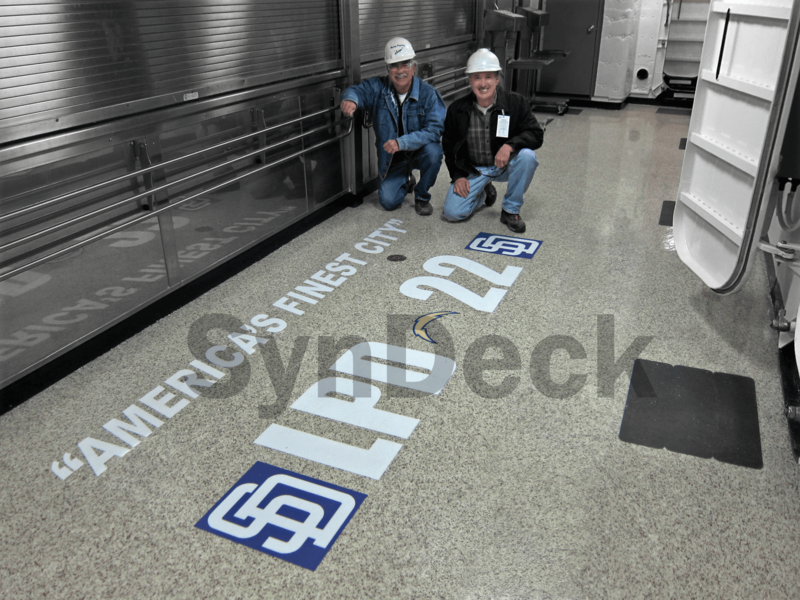 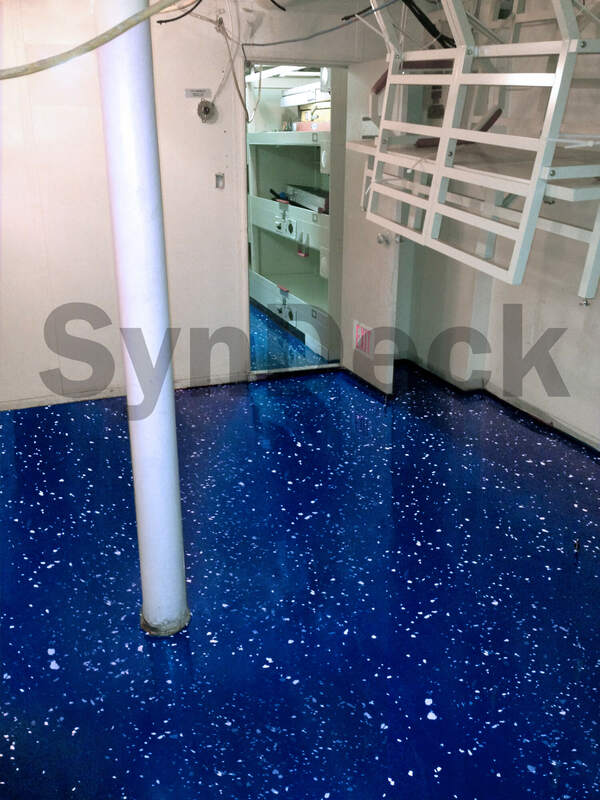 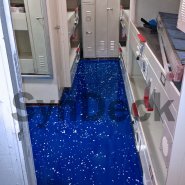 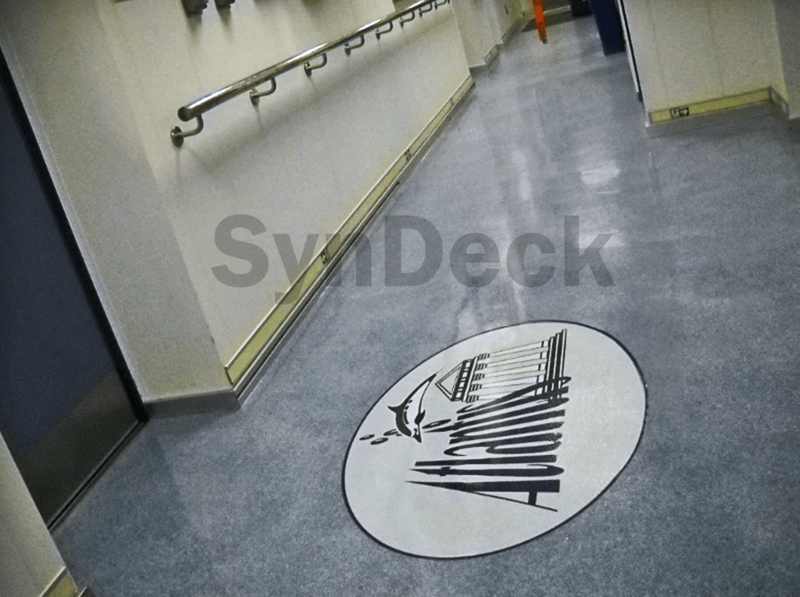 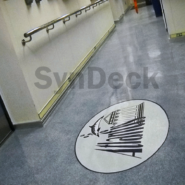 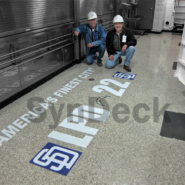 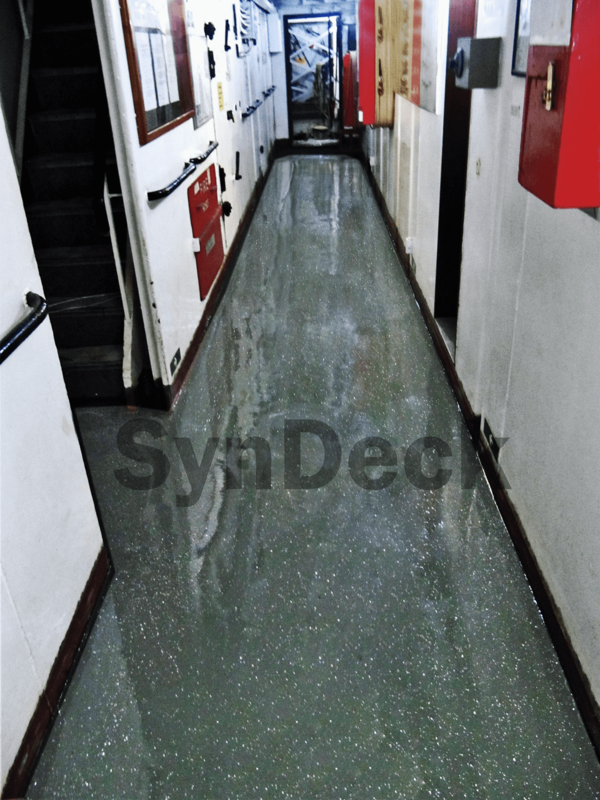 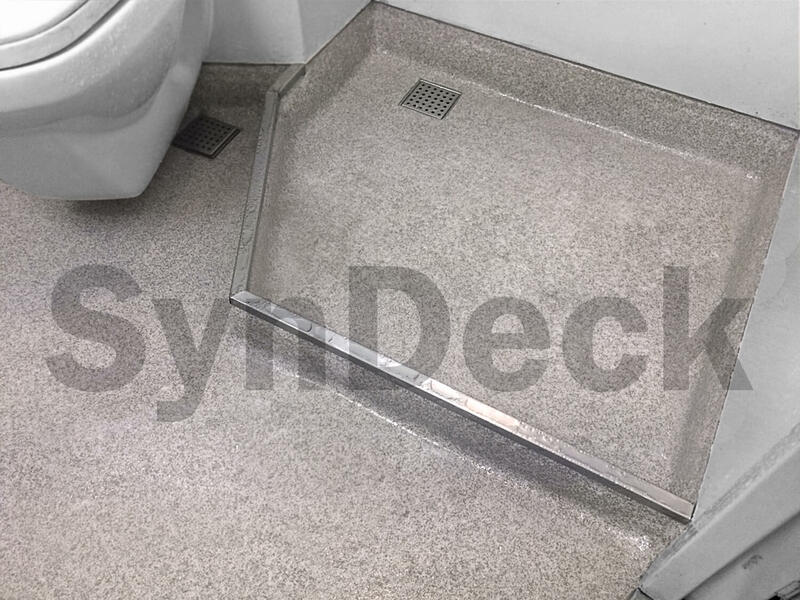 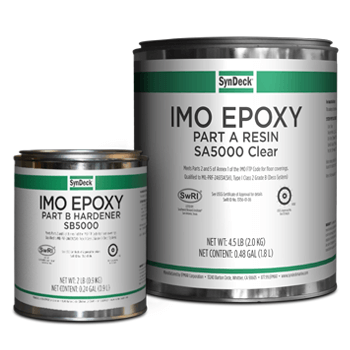 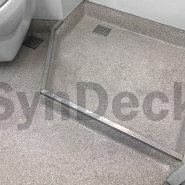 SynDeck® IMO Epoxy SS5000 Clear is a high quality, 100% solids, clear epoxy top coat. 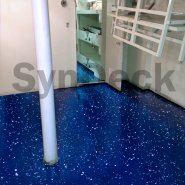 This two-component, marine IMO epoxy high gloss sealer cures to a resilient finish that is low odor and 0 VOC. 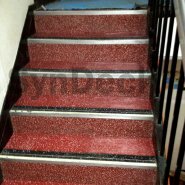 It has excellent adhesion with high abrasion and chemical resistance. 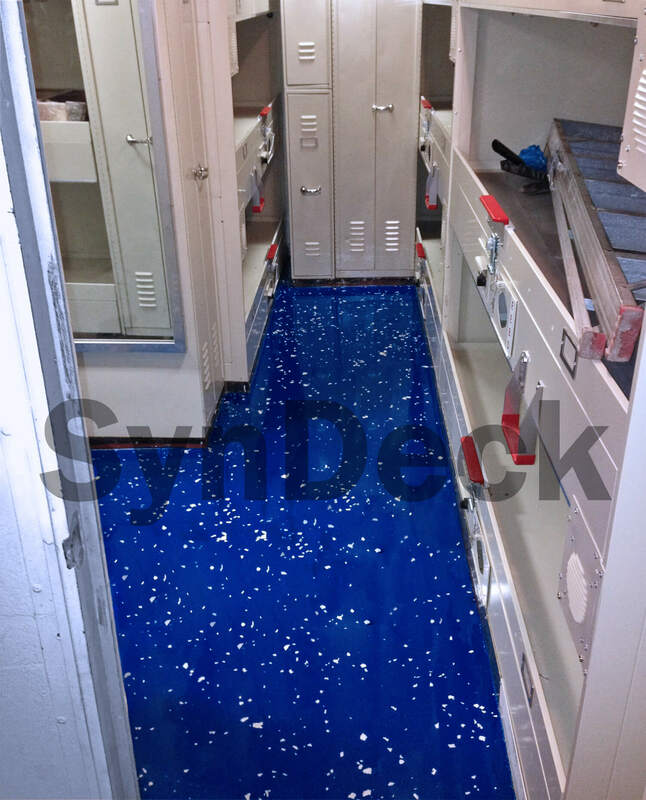 With its self-leveling properties and superior clarity, IMO Epoxy Clear can be applied over SynDeck color coats, flake systems or existing, properly prepared epoxy coatings. 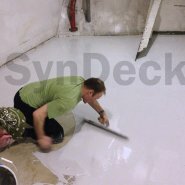 The result is a new, high gloss finish in one coat. 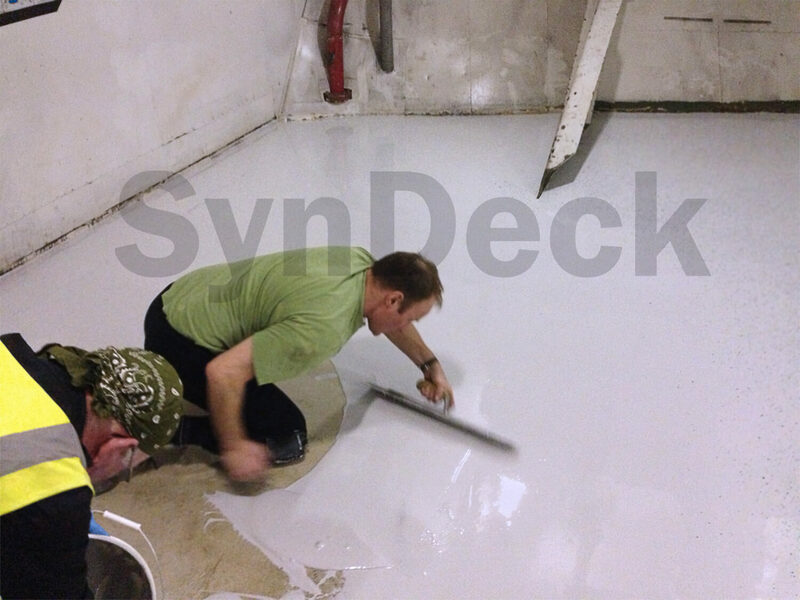 It can be applied at lower temperatures with no blushing and is dry for foot traffic overnight. 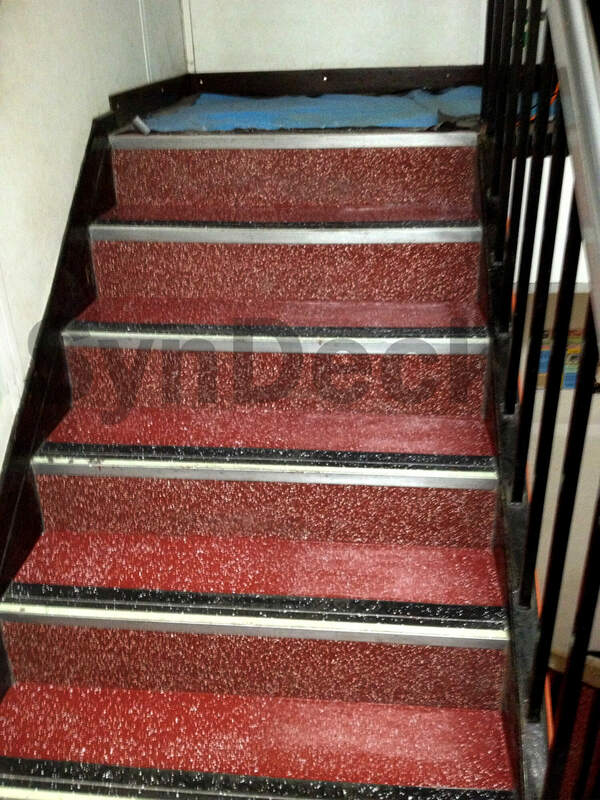 This product can be used as a part of our DECO flake or Anti-Slip systems.